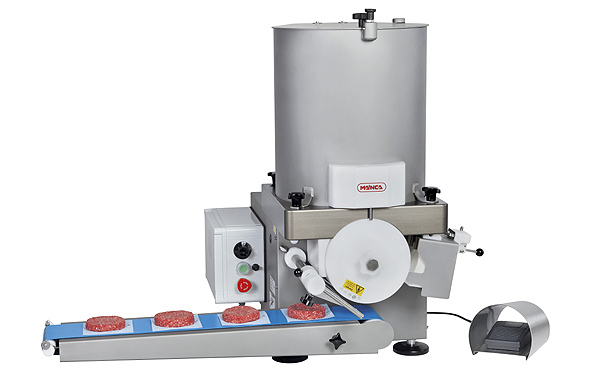 MAINCA - Automatic Hamburger Machine for meat processing equipment HA-2200. 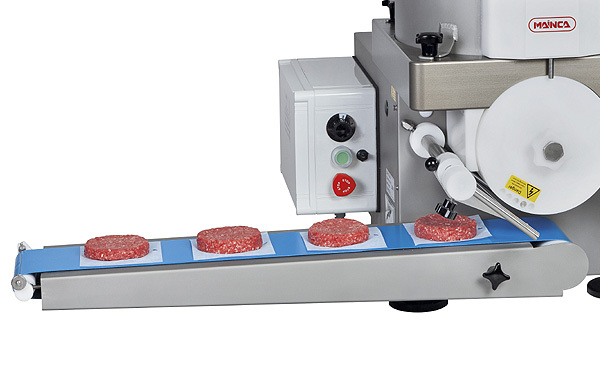 Production: up to 2200 units per hour. 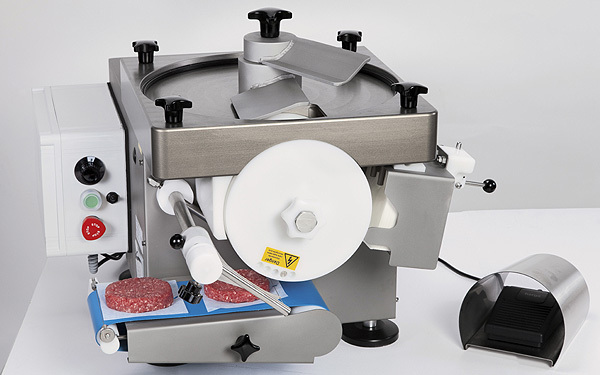 Machine equipped with variable speed drive. 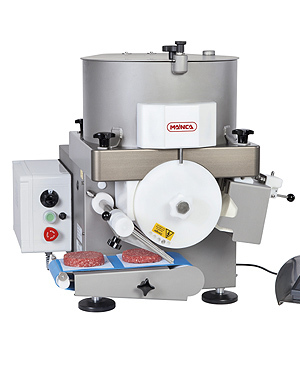 360º drum that ejects the product every complete round. Available drums with dirrent forms and sizes up to 120 mm Ø. See the available drums below in "Options". 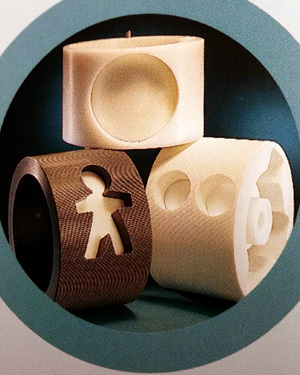 Adjustable thickness of the product from 4 to 34 mm depending on the model of the drum. Operation: automatic or manual with the foot pedal. 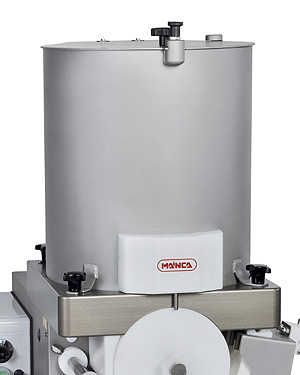 Hopper capacity: 25 litres / 15Kg (optional 45 lt. / 25Kg hopper). Manual wire cleaner (optional auto wire cleaner). Conveyor belt: 33cm long (optional conveyor belt: 75cm long). Dimensions: 70 x 60 x 64 cm (Net weight: 90 Kg).